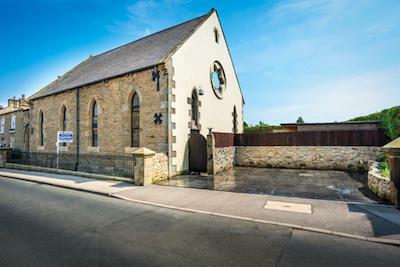 Churches for sale, Chapels for sale and former schools for sale, converted churches and chapels for sale, ruined churches, redundant churches for sale. 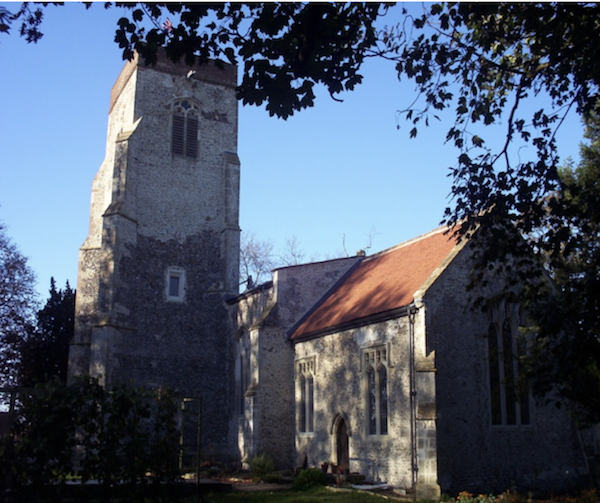 There are many more church properties and chapel properties for sale listed on the members' section. Here are a couple of the latest additions. To see them all, and get mailed a weekly list of new properties, do click the Join Now button above. 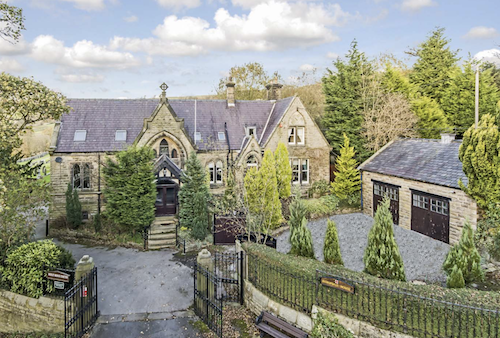 Victorian chapel conversion For Sale, built circa 1880 in a peaceful village in the heart of the North Yorkshire Dales with elevated views of the village of Pateley Bridge and surrounding Dales. 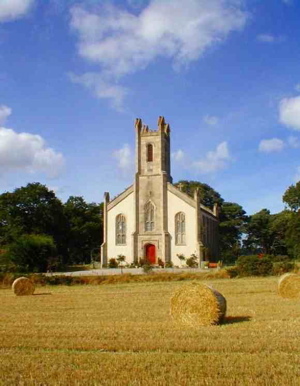 Originally designed so the western half of the house comprised the chapel, while the eastern side was built for the registrar’s business and dwelling. Many original features include original arched oak doors, Yorkshire flagged stone entry ways, vaulted ceilings, polished wood floors, fireplaces, and oak panelled rooms. 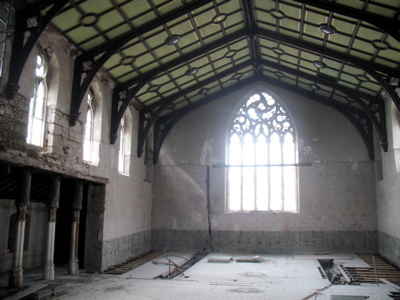 The dining room is in the former nave of the chapel enjoying illumination from the original chapel windows on 3 sides. 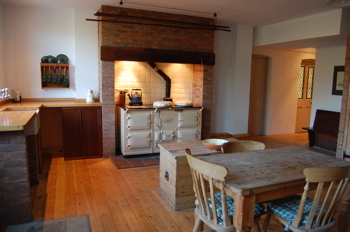 The chapel altar area was converted into the kitchen and now includes a 3-oven gas AGA. 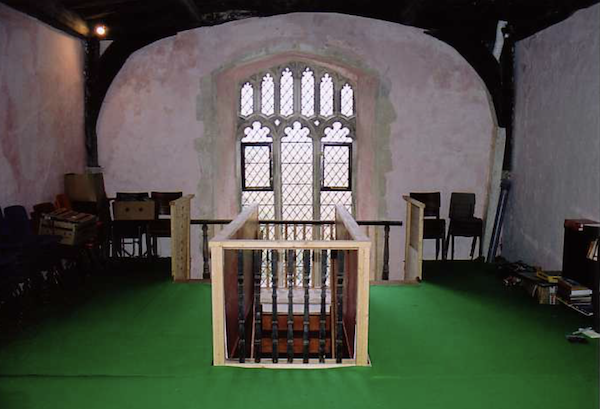 There are two staircases, one on the chapel-side and one on the registrar’s side. 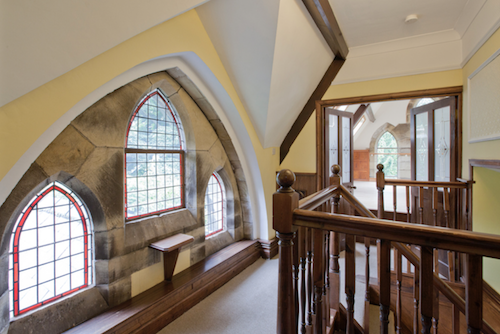 Taking the chapel-side staircase leads you to a pair of beautiful arched leaded glass windows, one at the top of the stair landing, one in the single bedroom. There are 3 further double bedrooms, 2 en-suite. 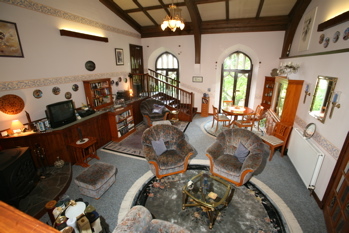 Ground floor: Sitting room/lounge; the room to the rear of the house was used as the registrar’s breakfast room and has the original fireplace that was used for cooking. There are two cellars, one now a workshop. Outside is a detached two-car garage with a loft above and an enclosed courtyard with spacious parking. 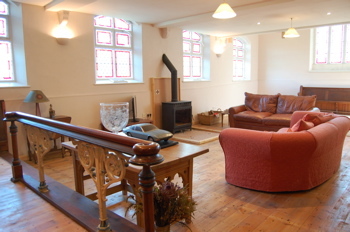 Recent upgrades include gas central heating, combi-boiler, and re-decoration of many rooms. 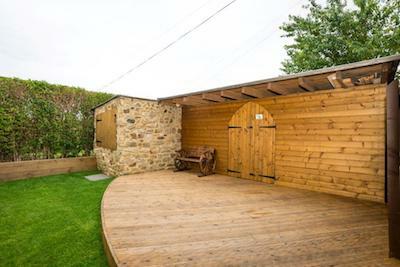 An enclosed garden with large log store and workshop. Off-road parking on a private driveway. 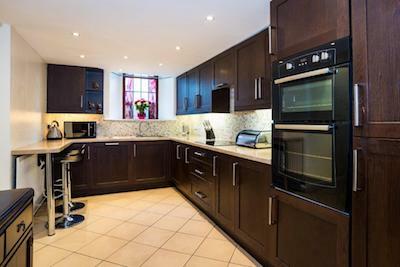 The property has oil fired central heating, mains electricity, water and drainage. 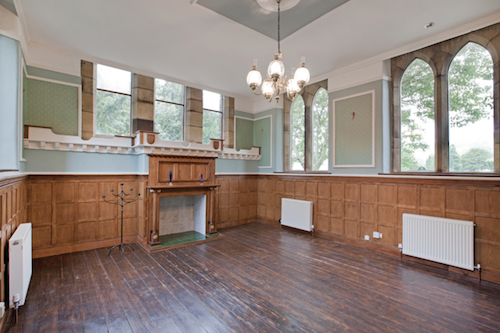 Dating back to c. 1866, this former chapel retains many character features including wonderfully high ceilings and stained glass windows throughout. The large living space makes it an amazing place to entertain friends and family. 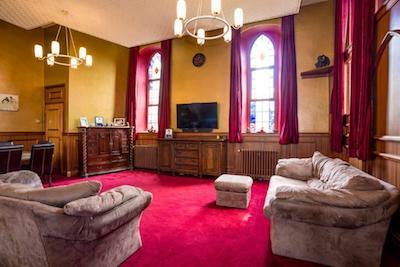 This is a rare and unique chapel conversion into a three-bedroomed family home, along with a study and playroom. It has planning consent to extend to four-bedroomed, across a third floor with double height roof space, if desired. The building is of historical interest within a conservation area, but with no covenants or restrictions in terms of materials if the property is to be further developed. Close to the A1(M) and the A66 (both approx. 1 mile away) this country setting is an ideal base for a buyer who desires a rural location with good transport links. The market town of Richmond is 5 miles away. Darlington, on the London to Edinburgh East Coast mainline, is 8 miles away. Teesside Airport 13 miles. 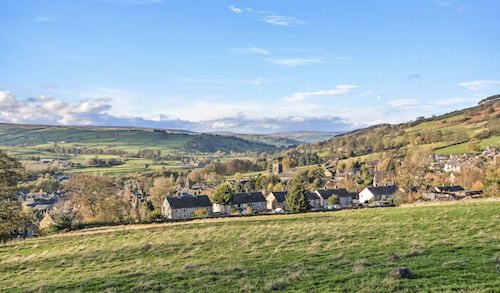 The village itself has a primary school (GOOD Ofsted rating), public house, church, two play parks, beauty salon, a village green (where the annual village sports day and other community events are held) and there are a number of well-regarded state and private schools in the area: in Richmond, Barnard Castle, Darlington and Yarm. 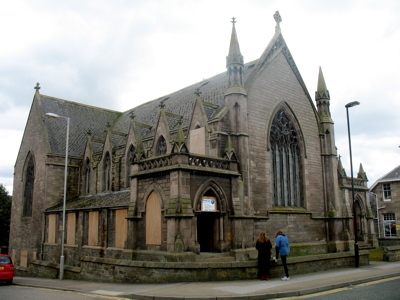 Substantial 1870’s church building situated on Forres high street. 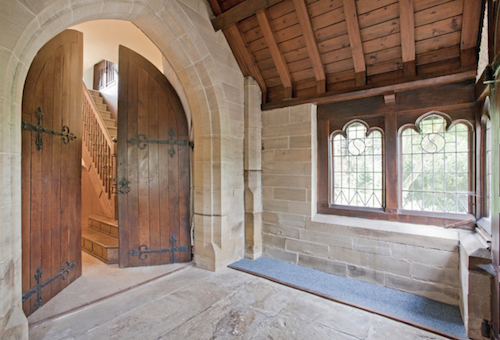 This property has planning consent and listed buildings consent to convert to two large houses taking full advantage of the internal features and stained glass windows. Forres provides many amenities; Post Office, Primary and Secondary schools, swimming pool, supermarkets, award winning parks, 18 hole golf course and many local distilleries. Being very close to beautiful beaches offering sailing and dolphin watching. The town is only 4 miles from the famous Findhorn centre, and is home to Findhorn’s sister college, Cluny House. The building was designed by John Rhind and as well as having beautiful stained windows, it also houses a stunning ceiling. It has an enormous lower floor lit by numerous arched windows. The conversion has been started: dry rot treatment, stripping out internal partition walls, toilets etc, and the roof has been repaired. The present owner had hoped that it might become a community building but this has not been possible and the building is now on The Buildings at Risk Register (making it potentially easier to obtain grants for repair). Great potential for either private dwellings or as a centre for tourism for this stunning area. 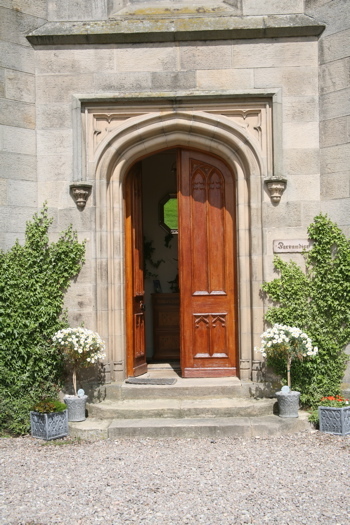 Seven bedroom church conversion half a mile from the village of Urquhart, currently being run as a successful four star B & B with a self catering apartment and with planning consent for three lodges in the beautiful, two acres of gardens which boast a pond and a waterfall. 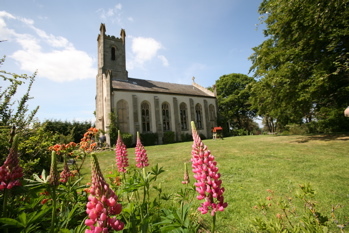 The church building dates back to 1843 and is B-listed. The bell tower still has the original bell, it is now connected to a clock and sounds automatically or you still can ring it the old-fashioned way with the rope! Lounge and 'gallery' dining area; Second lounge 'Bar' style; Main kitchen/breakfast room; Seven bedrooms in total - three with en suite; Two further bathrooms; Third lounge - part of the integral flat with open archway to the second kitchen. 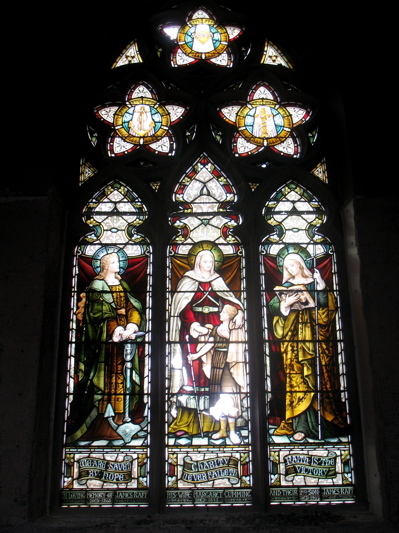 The church is approximately five miles to the east of the county town of Elgin (Scotlands smallest and friendliest city) and is close to both the Grampian Highlands and to the white sandy beaches and dunes of the Moray Firth where dolphins are frequently spotted. 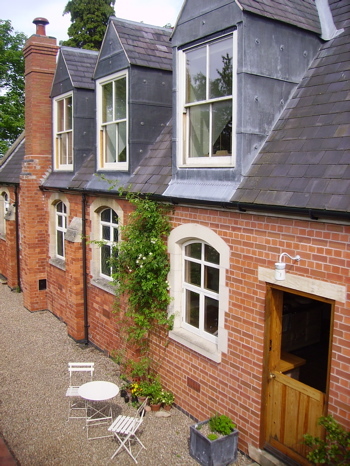 The property is set in grounds of approx two acres. 1) Three lodges for holiday let amongst the trees of the lower part of the grounds, each one with open uninterrupted views towards either the east, the west or the north-west from its own extensive terrace. 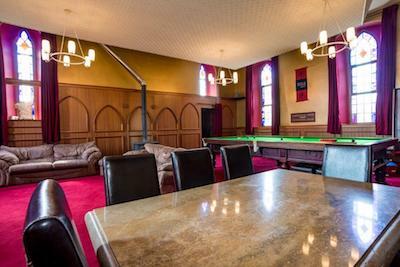 2) Extensive internal alterations within the church building: Forming nine bedrooms, eight bathrooms (of which are seven are en suite). 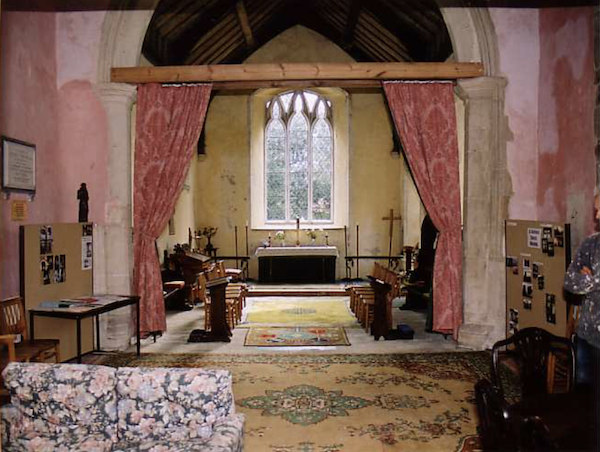 Opening and converting the altar area at the back of the church into a grand lounge/ dining area with two stone steps, with conversion of the vestry toilet into a kitchen with direct access to the garden, extending the existing apartment to nearly double the size! 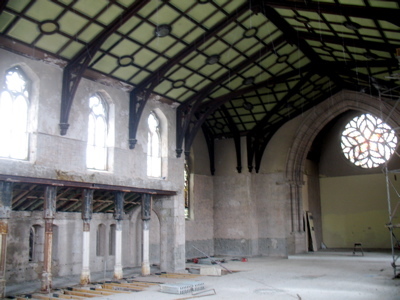 Creation of a mezzanine gallery to main lounge under the original church ceiling as to extend the spectacular main reception area (or for business purpose as to offer unique, spectacular space for bistro lounge/restaurant facilities). The vendor may consider a 'Lease-to-Buy'-arrangement as to ease the entry for potential buyers; especially if new in the business. Active help with the start and continued promotion by the present owner if required - and/or a business loan is required. 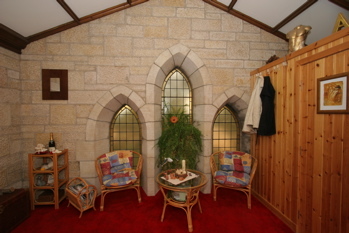 Converted 1893 chapel (not listed) in conservation village. Neigbouring villages include Laxton, with the last remaining open field system in England, and Wellow, which celebrates Mayday each year around the tallest maypole in England. In the Sherwood Forest area (Major Oak 15 minutes) surrounded by footpaths and green lanes, screened by mature yew and sycamore trees, roses and wisteria. 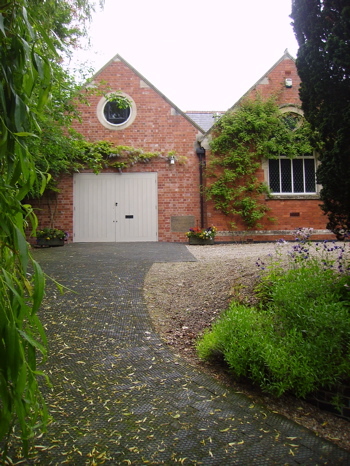 Close to the historic market town of Newark, and Minster town of Southwell. 20 minutes to East Coast Mainline station then little over one hour to London. Easy access to M1 and A1. GF: Galleried sitting room 34ft by 20ft, Dining room 24ft by 18ft, Kitchen 20ft by 18ft with 4 oven Aga and Belfast sink, Pantry, Utility room, Cloakroom, Double garage with light, power and water, plus parking for 3 to 4 cars. Mains pressure unvented hot water system, stainless tank, solar ready. 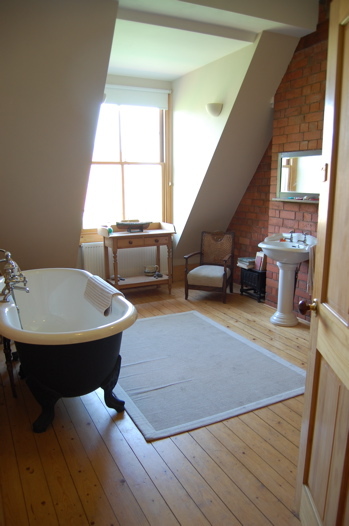 1st floor: 4 double bedrooms (largest 24ft by 12ft) Bathroom with cast iron roll top bath and high level cistern, Wet room with 'watering can' thermostatic shower, Gallery with view across to gothic window. Wonderful beamed ceilings, pitch pine doors and panelling, sun trap garden. These blogs keep you up to date with what is happening in the property world, and the information I give you will save you a fortune. I warned my readers not to buy in the US three years before the collapse. I warned you to keep out of Dubai, and Egypt. And I have consistently warned readers against investing in so-called Below Market Value deals, and warned where the lousy Off Plan deals are. Join the mailing list and always be ahead of the pack. I've been reading the markets right for over forty years. No-one else comes close. A members' bulletin is issued roughly once a week containing many more unusual properties we've sourced for you. You can access this by clicking the Join Now button. That gives you a year's sub.